The OG-2x4-SDI-DA is an openGear-compatible, state of the art 3G-SDI distribution amplifier. 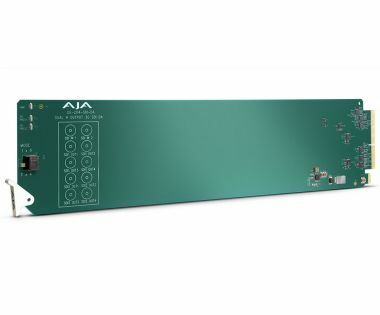 The incoming 3G-SDI signals on the 2 input channels are reclocked and distributed to 4 x 3G-SDI outputs each, or alternatively can function as a 1 x 8-Channel DA, allowing the same signal to be sent to eight destinations simultaneously. This dual input capability allows double the number of DAs in limited frame space. A 10 BNC rear Open Gear connector module is included.